Even if you’re not a veteran or enthusiast DIYer chances are you will probably want to make a few crafts in your lifetime. You don’t have to go above and beyond to build a whole new workshop for a few simple things. Maybe all you need is a glue gun as it is quite the versatile tool. You can use it to attach glass, pieces of ceramic, fabrics and even paper. Just think of it as your go-to tool for whenever you want to gift friends and family something that you made yourself. If you are a regular DIYer then all the more reason to go ahead and get one. You are more than likely to need it in your numerous “around the house” projects. Professionals could also benefit from having one of these in their toolkits. After all, they are the ones in most need of attaching electrical elements, woodwork, ceramics, fabrics and other materials they work with on a day to day basis. 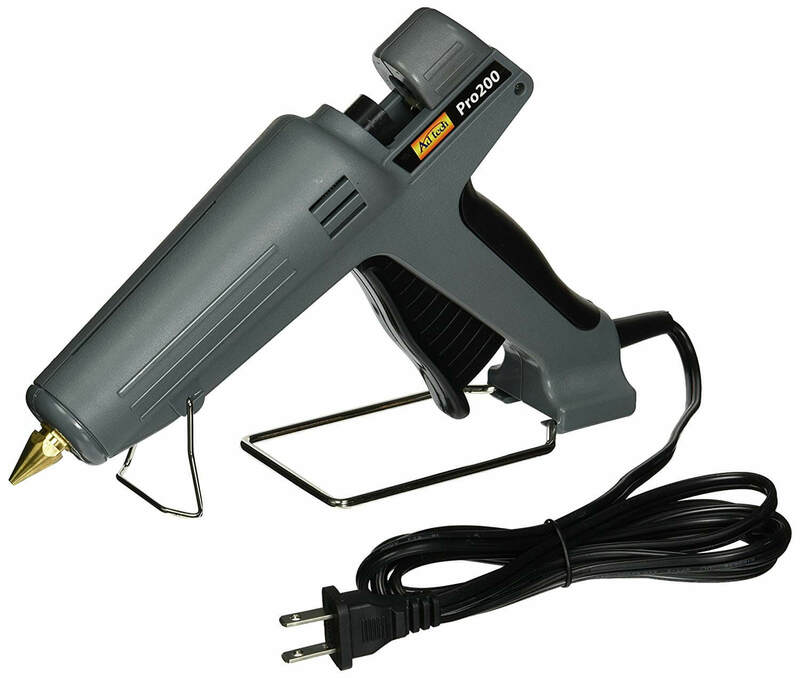 By definition, glue guns are tools and devices that emit a liquid glue from their nozzles by heating and melting glue sticks that you put into them. They hold the advantage of being mess free and efficient in holding things together. 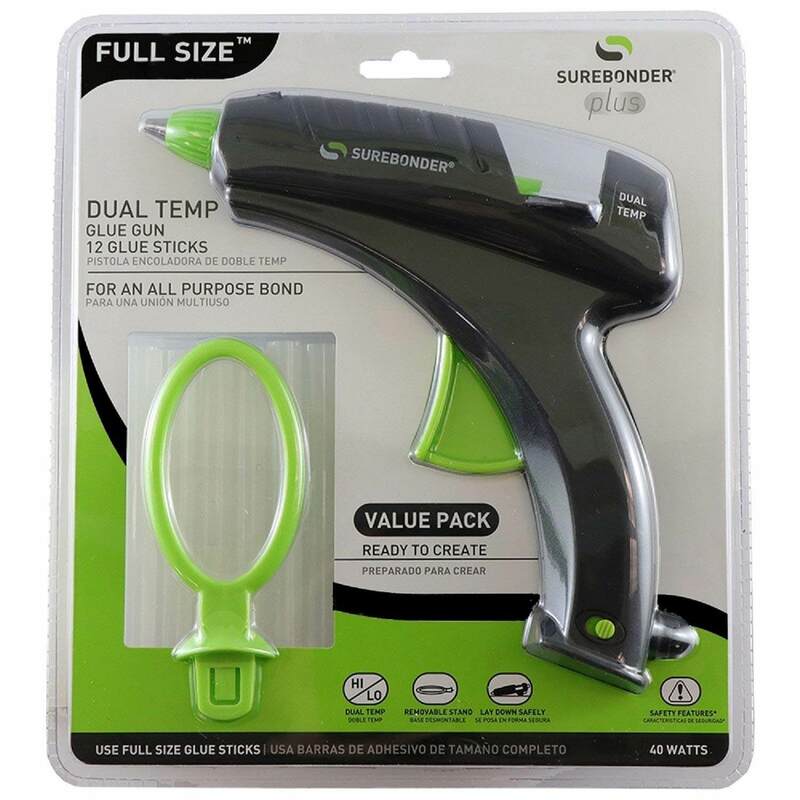 Of course, there are different types and models of glue guns out there, and so you have to be careful when purchasing one. The reason is not every one of them will be perfect for the job or jobs you have in mind. Rapid heating – No one wants to wait ten minutes for the glue to heat up. If it were a plug and play affair, it would be much appreciated. Unfortunately with glue guns at the moment that is not a possibility. With this one, however, you do have the next best thing. A preheating time of under 3 minutes which is a standard in itself. Safety features – Since it deals with conversion and energy and heating, there is a possibility that the tool itself might end up overheating and cause injury to the user. True to form Cobiz input a few components to prevent that from happening and as such you get to have peace of mind even when someone other than yourself is using the tool. You also get the option of watt adjustment between the two extremes of 60 and 100 watts. These make it a more versatile tool as it can handle materials with different glue temperature requirements quite easily. A DIYer will be able to handle just about any project they have with the two power settings. The 100-watt setting is most useful where the flow needed is quick which is to say big projects. The 60-watt setting works best on the other end of the spectrum. Pricing is low to moderate and at a bit over 20 dollars is something most people can afford. In second place is quite an impressive installation. From the name you can tell that the target market is professionals who would need a glue gun in the course of their work. As such it has been tailor-made to suit the needs of that particular market. The dual stand system is sturdy, and you can even take your eyes of the device if you position it correctly. Even then, remember to either unplug it or use the on/off button to shut it down. Among the features that make this tool so useful are the following. Temperature control – The sheer variety of temperatures that you can set the heater at is more than most other models out there. Even the range is quite broad. You can pick the lowest at 220°F, the highest at 400°F or any of the other three levels in-between. The dial is located at the bottom of the gun, and you can easily rotate it to your desired temperature. 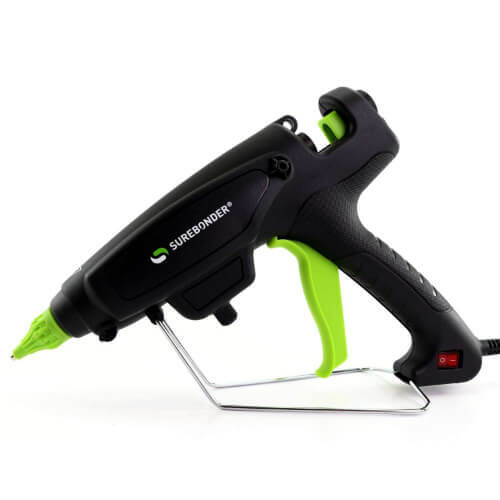 Interchangeable nozzles – Once you open the carrying case you will be delighted to know that you can at least change the nozzles depending on the job at hand. Even then these nozzles aren’t the standard kit as they are double insulated. They don’t heat up with the glue like most other models. The impressive features don’t stop there. The 220-watt heater is capable of handling just about any industrial level job you throw at it. The maximum output is 5 pounds of glue in 60 minutes. A professional will waste no time putting this tool to work and getting a return on investment given the high amount of money you spend on it. A DIYer will take a bit longer, but it is still worth every penny if you can afford it. In fact, the only reason it is number two rather than in the number one spot is for affordability reasons. Safety might be a top concern for you. As it stands, the BSTPOWER has a list of safety features that you might value. On top of that, it is a solid gadget with high usability and one that is bound to impress the owner. If you take a break, use the detachable stand to hold it upright, and you can get right back to the task at any time. A power switch is also available. Here are the most mention-worthy aspects of the BSTPOWER Gun. Safe usage – Here is a combination of features that work in conjunction with each other to make safety a reality. First is the anti-overheating which is aided by an automatic energy saving thermostat. Second is the heat insulation aspect at the very back of the gadget. The third is a cooling hole. Trigger propulsion – Control is also another universally appreciated feature. The trigger propulsion aides in that respect and helps to discharge just the required amount of glue. You may even end up saving on glue stick cost as a result. Though unimpressive the heat up time is nothing new and is only a few minutes more than the fastest heaters. A little patience is required, but most people won’t mind the extra wait time. Affordable and capable of reaching some tight areas despite being a full-size gun. A DIYer can’t go wrong if they have this in their garage. An exciting offering comes in the form of this edition by DEWALT. You will find that this is similar to a lot of the other options by other manufacturers. Efficient heating – A start time of up to 50% faster than regular options is what you will get from this DEWALT. The ceramic heating element is responsible for doing that. In the process, you waste less time waiting for the gun to heat up and get right into the job required. High output – You can apply up to 50 glue sticks in under an hour. The sheer volume of the output means it is most suited for a professional level job. If a task is more detail oriented then you may have better luck with a mini glue gun. A fold-out stand means you can let it stand on its own while you take a break or busy your hands elsewhere. Burns are an unlikely occurrence since the heat-resistant silicone tip is there specifically to prevent that from happening. 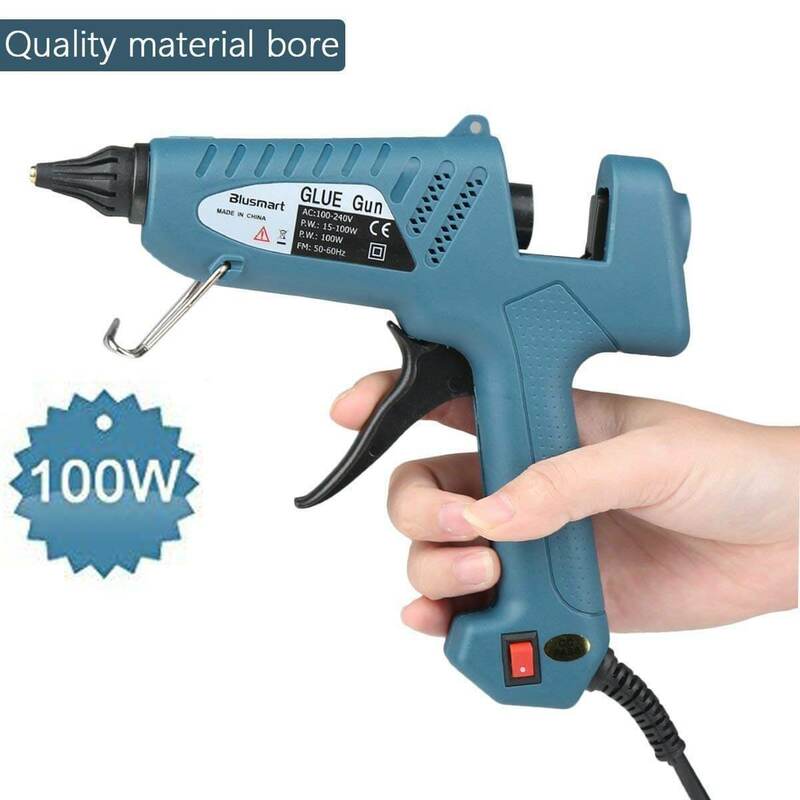 If any repairs on the glue gun are needed, the limited lifetime warranty will cater to them. With this tool, you get a bulk glue applicator, and so you need to be willing to go through glue sticks like butter. Of course, the output will be high if you factor in the maximum of 50 glue sticks in that one hour period. Naturally, you need to be applying this kind of volume on large areas and not on small pieces. A professional could benefit if they had this in their kit. Also, DIYers who make substantial repairs in their homes will not be disappointed. At 5 minutes the heat up time is not as impressive as other options although the tool does make up for it in different ways. Most notably it does so in the following ways. 220-watt heating element – Designed for continuous use this heating element is ideal for long periods of use. Adjustable trigger – The user is more than likely going to use the gun for hours on end. It is only right that the design makes this burden a little easier to take. Worry not. The gun’s adjustable trigger does come in handy for that particular purpose so the user won’t have to deal with fatigue. With highs of 428° and lows of 285°F, the gun can cater to flooring, repair and a host of other demanding tasks. Are you willing to spend a pretty penny on a quality tool? If you are getting the HB220 is almost a no-brainer. An industrial level gun for industrial and commercial needs. The ‘200’ in the name is representative of the 200 watt PTC heating system. This full-size option works with 0.5-inch diameter glue sticks that are available in a lot of department stores. There is no on/off switch featured on this unit so if you’re going to use it remember to plug it in and out as the situation requires. The USA-made product can cater to light industrial use not to mention commercial purposes and some DIY work. Once you have the 0189 in your hands, the following features are likely to stand out to you. 3-minute warm-up – A short pre-heating period and you’re ready to go. The fact that they make the heat-up time clear is essential, so you know just how long to be patient for. 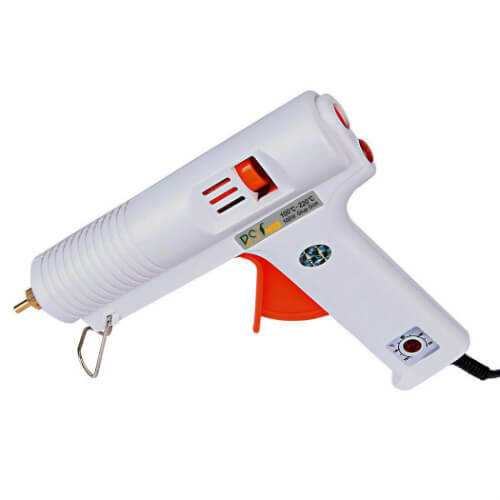 3 minutes is a relatively short time and is a standard to which most quality glue guns adhere to. High-quality shell – Durability is the name of the game, and the manufacturer is not going to be left behind in this regard. This casing is bound to last long enough and in the process protect the inbuilt elements. You pay a lot for this particular piece, but as most industrial users will tell you, it’s worth it. Spend that extra for a great addition to your workshop. Not everyone is okay with using the full-size models. Ignoring this market would be a mistake, and the manufacturer knew enough not to make it. 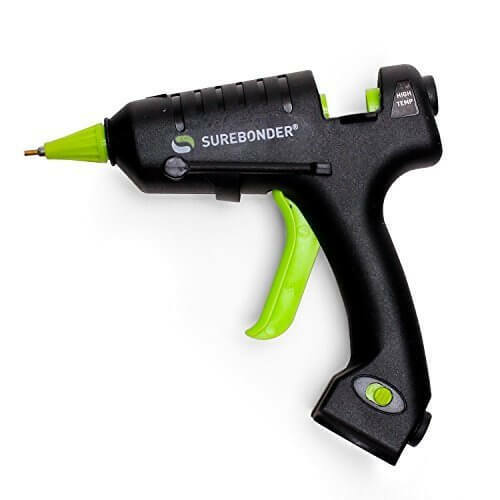 Enter the Surebonder mini glue gun. By its size, you will find this tool ideal for minute details. Some key selling features of this mini gun are as mentioned below. Safety fuse – That added protection may come in handy since these tools may overheat if left unchecked. With this installation, you don’t have to worry about that happening. Extended tip – If you are going to use this tool you need to use it for getting the details just right. That is the reason that an extended tip was included in the first place. In addition to the above, you get a power light, so you know when the tool is off or on. Also featured is a stand that you can attach whenever you want to let the device rest for a while or when something comes up that needs the attention of both your hands. 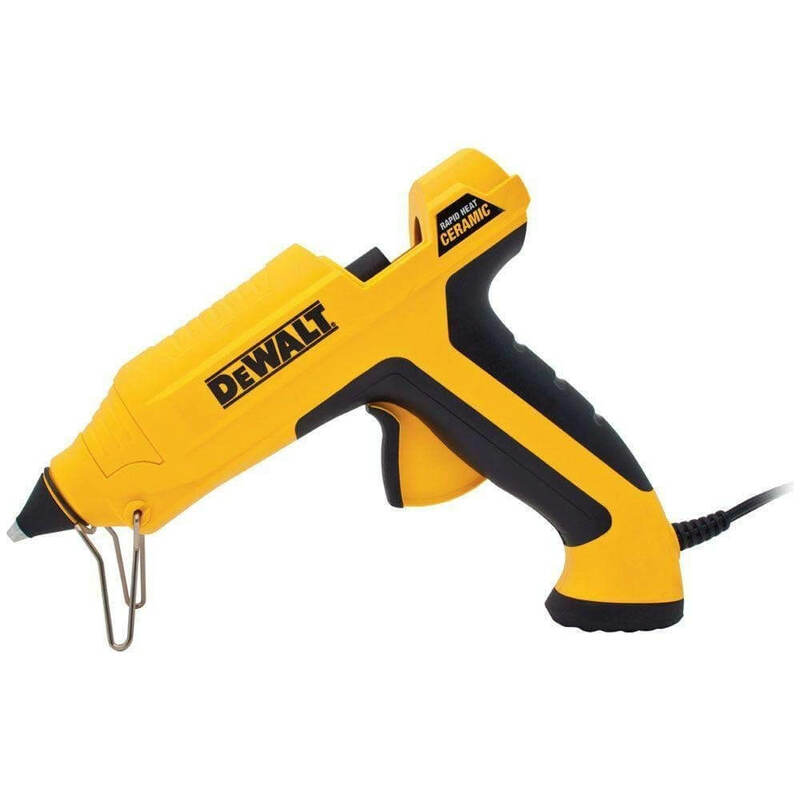 If you are continually doing something detail oriented like building or even restoring toys, then this is the glue gun for you. An affordable piece and even with the addition of glue sticks the price doesn’t shoot up. Undoubtedly the most impressive mini glue gun edition on our list is the ccbetter. If your goal is to introduce your children to DIYing, this is the tool to get for them. Alternatively, you can choose to purchase this since by default it will have a small nozzle. Consequently, it can better cater to detail oriented projects and is more likely to reach tight spaces. Anti-hot cover – No matter the temperature or the hours you put this device to work, you will find that the external temperature never changes. Your hands are safe and free to handle the gadget for as long as you want to without any health implications. Trigger propulsion – As any DIYer will tell you, crafting needs a little finesse and control to ensure details are just right. The trigger propulsion device gives the user the control he needs to get the smallest details right. A LED light on the power on/off switch lets users know whether the tool is on or off. Before using the ccbetter mini gun plug it in, insert a glue stick, turn the switch on and wait for up to 5 minutes. That should be enough to preheat the glue. Children will enjoy using this tool however adults will get much more use out of it if they are trying to reach tight spaces. A bonus is that you don’t need to pay much for it as the gun is affordable. Just because Surebonder has an extremely high priced gadget doesn’t mean they also don’t cater to the budget market. The DT-270FKIT proves that fact. It is only natural that the features won’t be on par with the much higher priced PRO2 220. Nevertheless, you will find going through the design and components that it is mostly a bargain. Neat and mention-worthy features of the DT-270FKIT include the two stated below. Dual temperature settings – Rather than get a variety like in the predecessor you get two temperature options to represent high and low heat requirements. The lower end of the spectrum is 250°F while the top end is 380°. Insulated nozzle – Just so that the nozzle doesn’t heat up too much you have some extra padding. Safety features are common to a lot of the devices by Surebonder, and that is inclusive of this device. 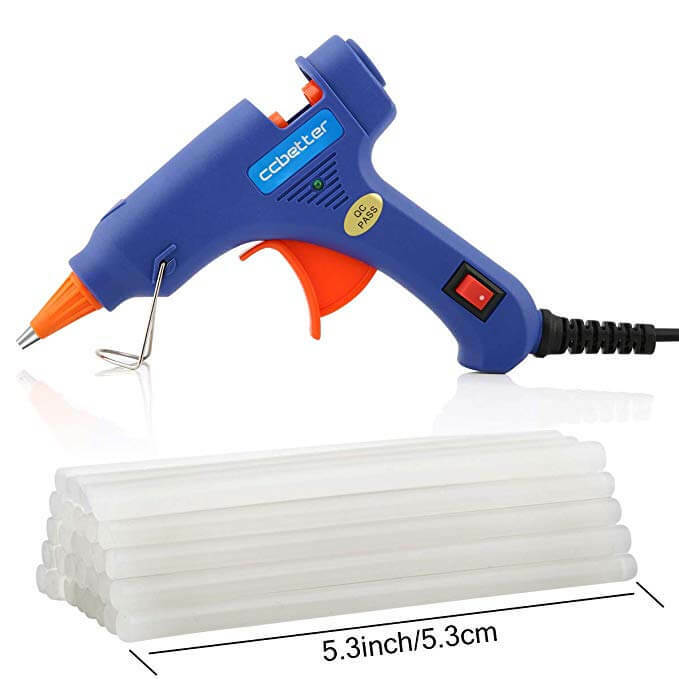 This is a lightweight and light duty tool that is great if you have never used a glue gun before. The price is a bit on the lower side so if you don’t think you will need to use it often go ahead and purchase it. It’s important to be proactive in taking care of the environment. One way to do that would be to use non-toxic glue sticks. The Blusmart team put environmental protection high on their priorities list as they ship their gun with the above mentioned ecological friendly glue sticks. Also, fatigue is not an issue to contend with due to the ergonomic design of the glue gun. Like the others on our list, some exciting features are evident in the tool as follows. 18-month warranty – in most situations a warranty is usually a sign of quality. How else can a manufacturer express that they are confident in the work they put forth? A warranty guarantees protection from extra costs that come with repairs. Nonetheless, a usual occurrence is that most people never need to use it. Quality construction – The construction is ABS material to withstand the heat. Additionally, the nozzle is crafted from copper, and an anti-scald cover is incorporated. This way you don’t get burned even if you touch it accidentally. The on/off switch present makes this tool a little more convenient and easy to use. The German PTC ceramic heating system gets the heating job done in under three minutes. If you need a high-temperature gun that you don’t have to break the bank for, this might be it. An affordable tool for home projects. The selection process is one where you strike a balance between a few essential requirements. By ticking or grading each particular element, you get an overall feel of how a glue gun will suit your needs. Down below are some of the specific facets to look at. These tools are meant to be used by human beings and as such have been designed to cater for a wide range of them. 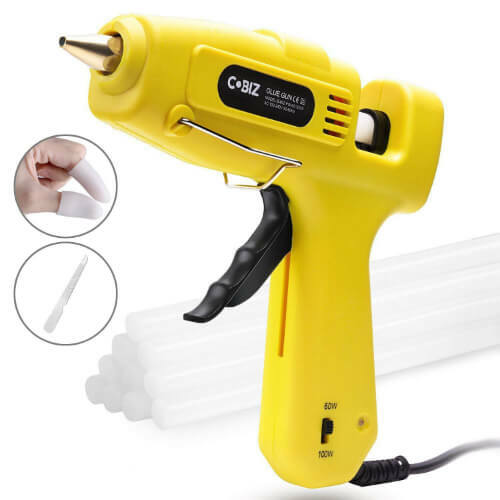 Hand size is something that varies widely between different individuals and is provided for in the “full size” and “mini glue guns.” If you are doing a joint family project, your children might want to join in, and a mini glue gun will be most appropriate. Note however that these tools have the potential to cause injury so if your children are going to use them make sure it is under strict supervision. The size will also likely influence whether the user is comfortable. Most of the guns out there are corded, so you have to ensure proximity to a socket whenever you use them. Alternatively, there is the battery powered option that improves mobility but has its shortcomings. With this, it’s all a matter of personal preference and whether you are willing to spend extra on a battery set every so often. Different materials have unique reactions to hot glue. Some will get ruined if the temperature is too high. It’s all dependent on the project you are working on. Fortunately, some of these gadgets have adjustable temperature dials meaning you can dial it down or crank it up depending on the situation. Nonetheless what they have in common is that the maximum temperatures rarely go over 400 degrees. The heaters incorporated into the guns have different power requirements and outputs. A likely scenario is that the higher the wattage, the quicker it takes for the gun to melt the glue stick. Time periods typically range from between 2-5 minutes. Naturally, you might want to go for something that takes as little time as possible. Whether or not a gun has an interchangeable nozzle is crucial in determining its versatility. If you can put in different sized tips, then you have the functionality of both a mini and a full-size gun in hand. This usability is bound to prove handy if you have various projects with differing requirements. With the products you have used and acquired in your life; you are bound to have noticed that some brands are superior to others. They top the ranks in durability, design and a few other key elements you look for. Glue guns are also subject to the same rules. If you compare a few models, you may find that the brand makes all the difference. Be thorough and only pick out brands you are sure will give you quality. Even as you go through all the above aspects remember that price will weigh heavily on your final decision. Even if a product ticks all the right boxes, you need to ensure you can afford it before making the purchase decision. Have a clear view of your finances and what you have to spare before you go glue gun hunting. How do you tell if all a manufacturer says about their products is true? That’s right. Reviews. Go through a number of them, and if the consensus is positive, you might just have found the gadget for you. If the consensus is negative, it means most people were not satisfied with the tool after using it. The objective deduction from that state of affairs is that you probably won’t like it as well. Noteworthy is the fact that glue sticks are different for mini glue guns and the full-size models. One cannot use “mini” glue sticks on the full-size model and vice versa. That’s a little nugget of information that might come in handy when you are shopping either for the glue stick or the gun. We have compiled a list of 10 devices we feel satisfy some of the above criteria. You needn’t do the research yourself as we’ve already done it for you. Just go through the models and see which one fits you. Don’t leave it on if you are not using it. Remember that it is an electronic gadget. The heating element might get too hot and blow. If left unattended it could cause a fire hazard so always make sure you switch it off. Customer reviews are full of complaints regarding the dispensation of glue. However, some of these issues are brought along by using low-quality glue sticks. Also, manufacturers who produce glue sticks tend to develop guns that work best with their other products. Factor this in and if necessary get only manufacturer specific glue sticks. Most products will ship with instructions on how to use the gadget. Follow these to the letter and the device will last longer. Not with water. Wipe it with a piece of cloth and ensure there is no debris on the outside and no glue on the nozzle. Once this is done, you can store it safely in a case if you have one. If you don’t, a solid container will do. Children playing with a hot glue gun is a recipe for disaster. It is shaped like a gun so they might mistake it for a toy. However, if you want to teach your kids crafting, you can allow them access under strict supervision and guidance. Is there a need to remove half used glue sticks? This is not necessary, and when a stick is finished, you can feed in another to continue the flow of hot glue. In fact, some glue sticks need the extra push from another one to ensure the whole stick is fed through the gun. How to save glue sticks? Trigger propulsion is one way you can enhance control on the output. Another idea would be to unplug or switch off the device whenever it’s not in use. If this is not done the gun may continuously chow down the glue sticks fed into it. Are there battery powered options? There are a few. Unfortunately, our list does not feature any. 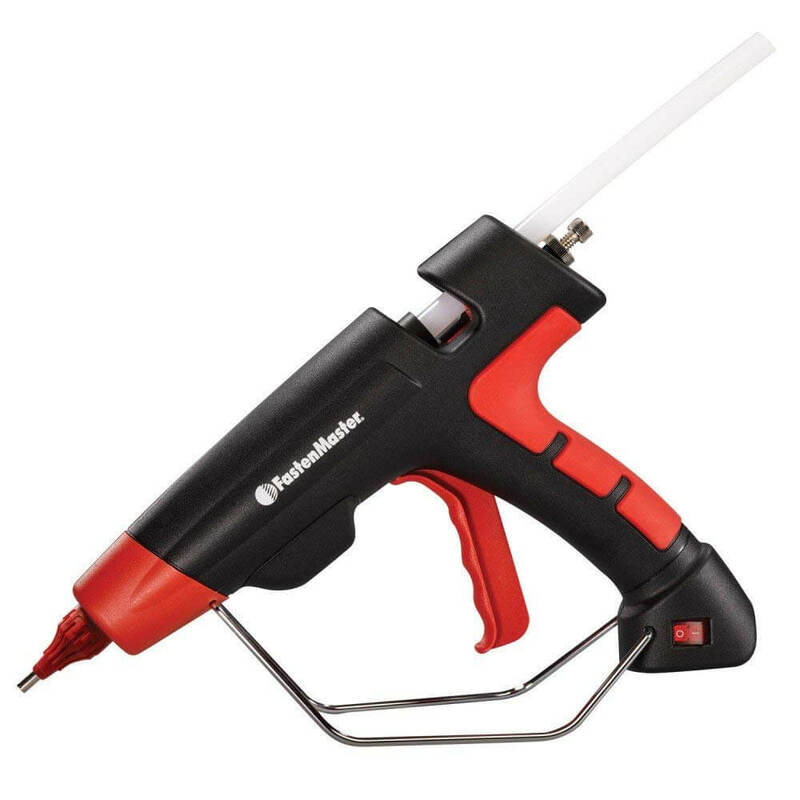 Can glue guns with temperature control be considered low-temperature guns? They can’t be considered a low-temperature gun, but the settings may offer the functionality of one. They will also likely feature the functionality of a high-temperature gun depending on where you have set the dial. The above are some of the most popular guns out there, and they have all gone through a court of public opinion. Most people concur that these devices are good at heating and dispensing hot glue. This might help with a selection on the same. Go through the list and find a model to fit your needs. Do tell us how the above helped with your search. We would also love to hear your opinions.